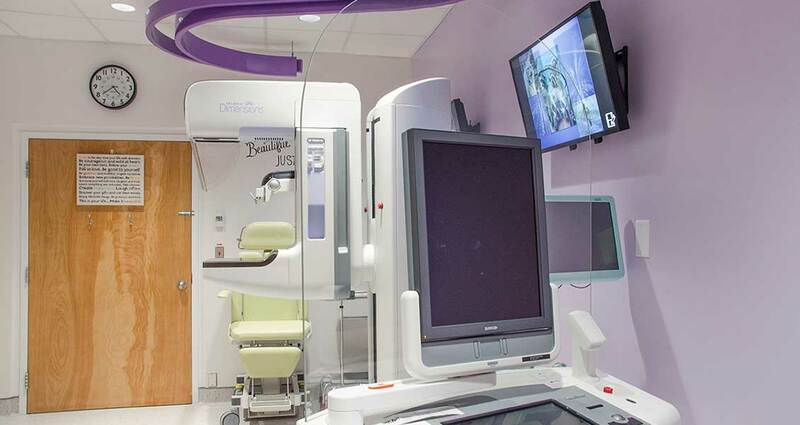 The renovation of the Mammography suite at Kelowna General Hospital consists of the complete overhauling of the existing Mammography room and the replacement of an outdated analog mammography machine with a new digital acquisition workstation and operator’s console. The existing space has been expanded to include non-utilized adjacent spaces and the overall space has been rethought to enhance care provider workflow and patient comfort. 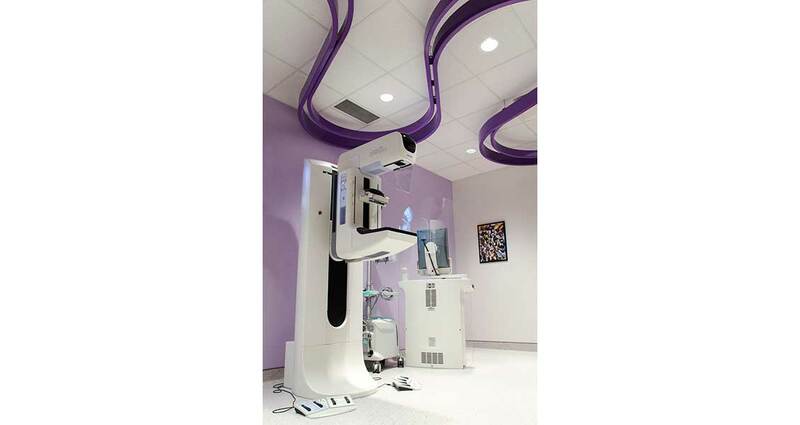 Special importance has been placed on creating a soft and calming space which is intriguingly unique and atypical of the standard hospital room. 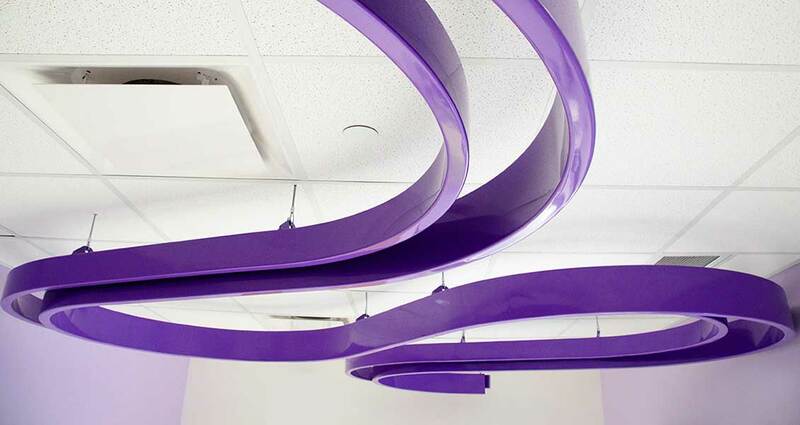 This is achieved through the careful and thoughtful selection of materials and colours as well as the creation of an artistic and symbolistic suspended ceiling element. The renovation also addresses Canadian Health Care Facility Standards and has included mechanical and electrical upgrades to bring this space up to conformance with these standard’s latest requirements. 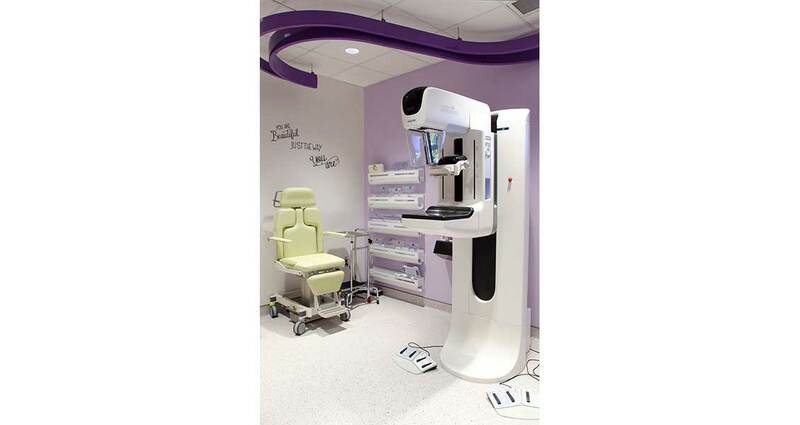 In addition to renovated Mammography room, a new Radiologist Office and common nurse work area has also been designed.